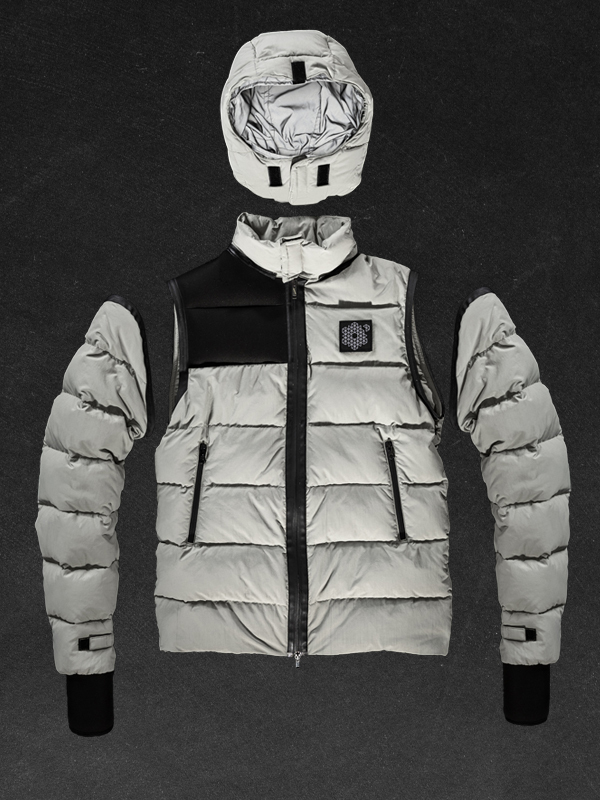 conceived to interact with the other garments from the Plurimus NO_S09 set. 90/10 goose down padding ensuring maximum insulation and lightness at the same time. 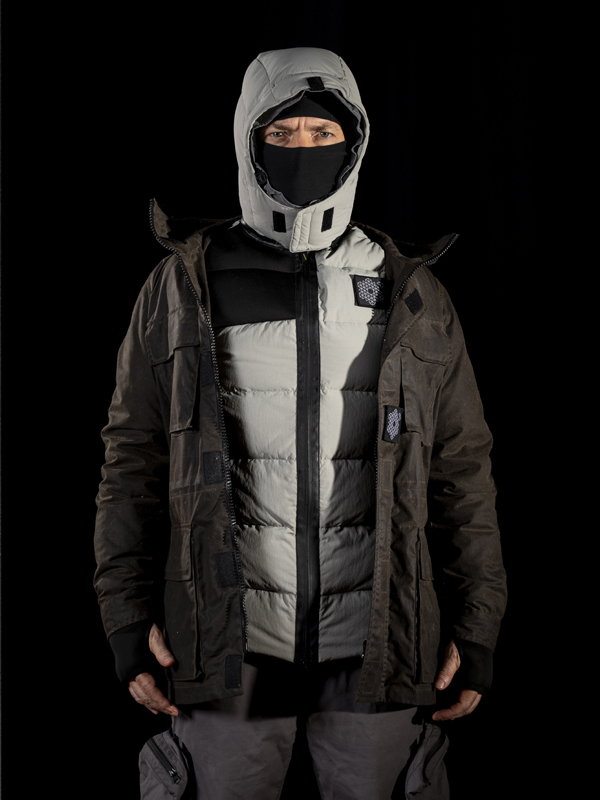 Removable hood adjustable via drawstrings with collar closed via Velcro. 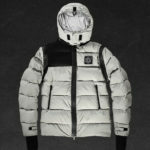 Removable secondary hood in reflective polyester which can be worn inside or outside the main hood. 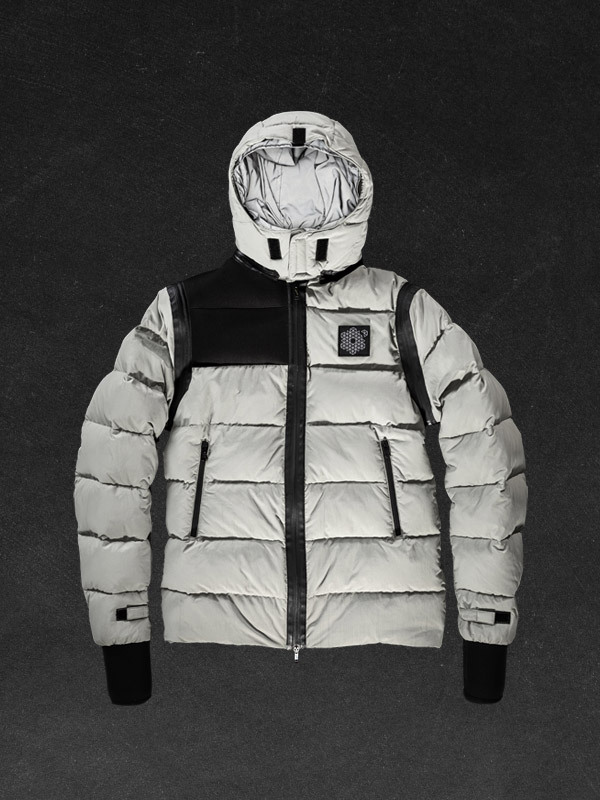 Removable sleeves via waterproof zips. Two pockets closed via waterproof zips. Drawstrings at hem. Neoprene cuffs with thumb openings, which can also be used as standard cuffs once folded up. 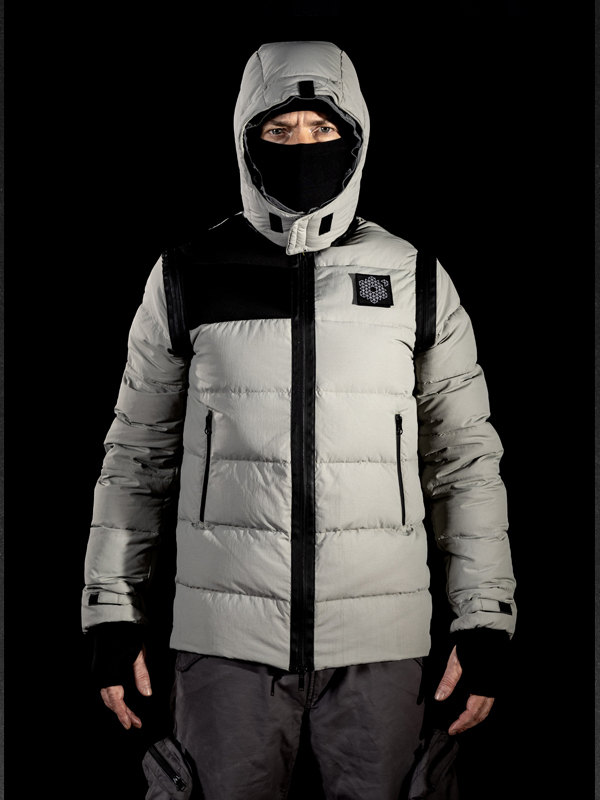 The NO_S09_1C can be used by itself as a jacket or as a Vest. 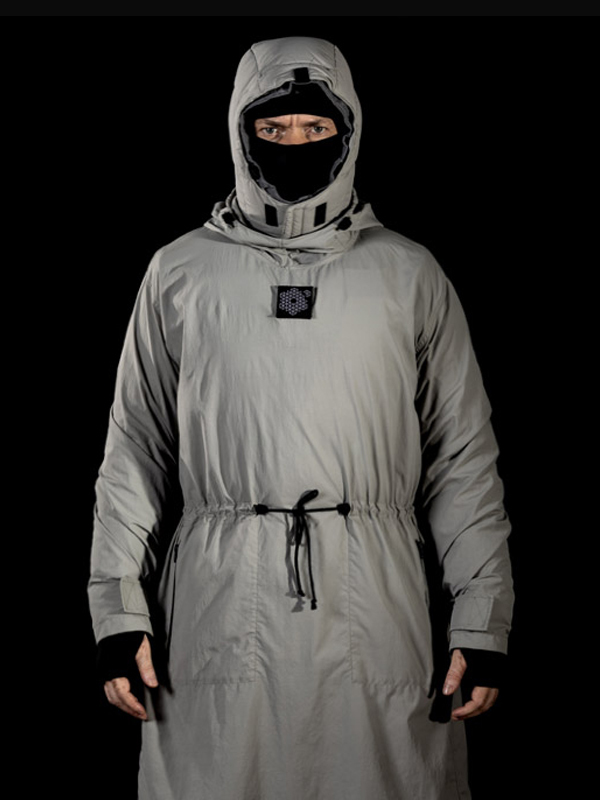 The NO_S09_1C can also be attached to the NO_S09_1A Incursore Parka by Velcro straps and used as an inner. 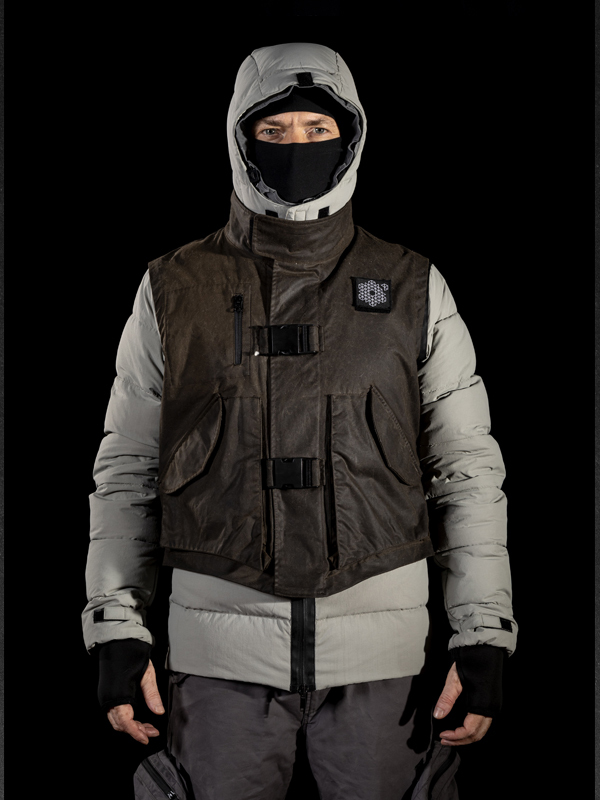 It can also be used with the NO_S09_1Y Incursore Vest and the NO_S09_1X Mantella Jacket. PAYMENTS - Payments are accepted through Paypal’s secure online system. all major credit cards and debit cards, as well as Paypal direct payments, are accepted. (please allow 3 working days for delivery) or Priority Post (T-shirts and Polo-shirts _ please allow 5-7 working days for delivery). SHIPPING OUTSIDE OF THE EU - When making a purchase from outside Europe, please contact us at info@plurimus.it for exact shipping rate. all items will be shipped via EMS signed for from Italy. Please make sure all returned items are well packaged, as not to be damaged in the post. We cannot take responsibility for items damaged or lost in the return transit. MAINTENANCE OF THE GARMENT - Plurimus garments are made of wind and waterproof waxed cotton and therefore they should not washed in a conventional way. Do not use hot water, detergents or soap, avoid dry cleaning and machine washing. Use a sponge and cold water to remove dirt when necessary.